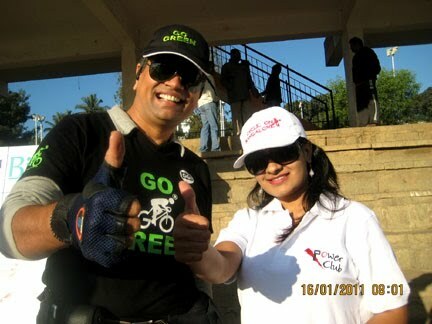 GoGreen members supporting Achiver academy in a Cycing Rally that was organised on 16Jan11. - GGI-Group size: 4000+ Professionals, Increasing on day to day basis, Come & join us 2 serve Mother Nature. 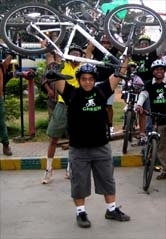 GoGreen members supporting Achiver academy in a Cycing Rally that was organised on 16Jan11. 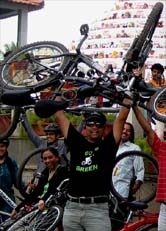 Go Green memebers started from RIS junction by 6:45am and reached Jaynagar's Madavan Park by 7:10am where the Cycling Rally was to kick start. 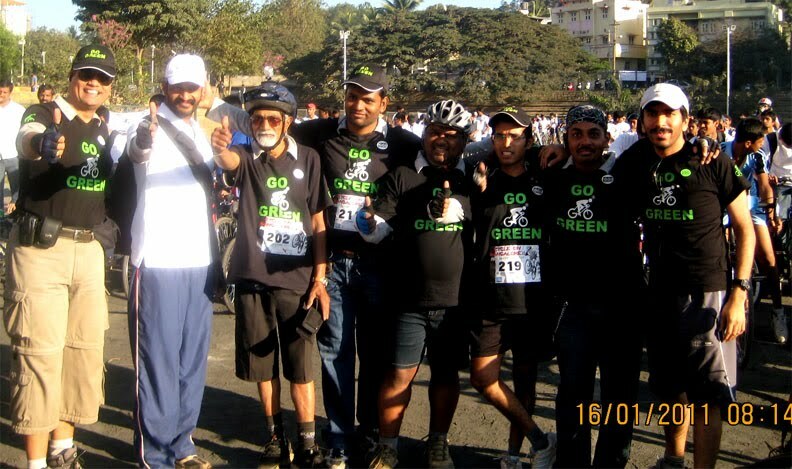 28 GGI participated in this Cycle rally that started off from Madhavan Park @ 8:30am. Their were arround 100+ kids from various classes were present with their cycles & waiting for the flag off. We had Roopashree Kannada actress along with actor Kumar. The Cycle rally was flagged off by jaynagar MLA @ 8:30am. It was quite difficult for all the kids to be on the main road hence GoGreen team decided to volunteer in helping the kids to maintain their speed and at the same time blocking the traffic in the main junction. The organisers volunteer's were also present but they were on motor cycles which was realy causing problem to manage the other motor cyclist. Following was the route that we followed. 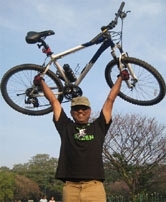 From Madhavan Park - Ashoka Pillar - Siddhiya Road - Lalbagh rear gate - Lalbagh main gate - double road - Ramanshree Hotel Road - Kanteerva stadium road - Hudson Circle - Cubbon Park - High cort - Vidhana Sabha - taking a U trun - High coart - and back to Madhavan park by 10:10am. their after Certficates were distributed meanwhile one our GGI-Member Siddhart's Cannodale F7 was missing, he has not locked hic cycle. every one got upset after this incident, We searched all sides of the ground but were not able trace out. Waited for a long time then advised Sidharth to leand a motor cycle and quickly make some couple of rounds in & arround jayanagar.. then dispersed. @ 11:45 he massages and told he found his bike which gave us a big relief.